In Islamic theology, the term Jihad can mean ‘labour’, ‘exerting labour’, ‘exhausting effort’, etc. It was used in different contexts in the Quran and sunna. In one tradition, the Prophet Muhammad siad “we have returned from the lesser jihad to the greater jihad”. In this context he portrayed the ‘greater jihad’ was one’s selfish interest, while the lesser jihad was physical, like warfare. Ahmed El-Sayed Abdul Meguid notes that the western public image of Jihad is very one-sided, focusing on the idea of military conflict with non-believers. In his talk, Meguid explains how the Islamic worldview of jihad is the struggle to harmonize the metaphysical to the physical. 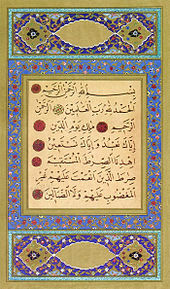 There was an abiding interest by medieval Muslim thinkers to break away metaphysics from prior Greek thinking and that there was an essential interest in the understanding in the human nature between the metaphysical and physical and connecting them. Jihad was seen as process of reconciling both of them and bringing them in harmony. Early Islamic Sufi treatises often had the goal of losing oneself in God and the need to overome luxury, idleness, wealth, worldly-life, pride, ego, etc. In this view Jihad is an introspective stage of Islam. Turning to the idea of the lesser Jihad, Meguid notes that it was in Quran that the Prophet told his followers they had permission to fight if people are being driven from their home because of their belief in one God. Early commentators on the Quran also noted that believers are free to fight to defend their freedom of having faith in one God. Meguid concludes that Islam wants to maintain both the physical and metaphysical, and the idea that you can freely participate in a society that will not force metaphysics or materialist perspective on you. He believes this is reflected in the greater tolerance of other faiths that was seen in Baghdad and Muslim Spain during the Middle Ages.